Put the baked apple chips down, walk away, I am serious. You have a problem you didn’t even know about and it’s apple chips. WOw, it feels good to be able to get that off my chest, seriously. So I made these, a casual, “oh I think I will make a healthy snack for the week kind of a thing.” They are healthy, filling, delightful little treats. But behind it all, it something you cannot put down, it is a trick of sorts. It’s all good, you should totally still make them, because you need to see for yourself. The baking brings out the sweetness in the apples and they brighten up your day even if your day is the best you have ever had. They are that tasty, so go now, like now, and bake them apples. You have apples, right? Do not waste anymore time, go, cut, bake, and enjoy. I did. Use up all the apples. don’t throw them away, make chips! Side note: I think I need an apple tree though, because I had four apples, and I needed ten minimum. Especially if you are going to share with your friends, husband, boyfriend, girlfriend, or kids. Which I highly recommend, they may like you more after. Which could be cool. 1. Preheat oven to 250 degrees. Line sheet pans with parchment paper, or a silpat. You’ll need at least two. 2. 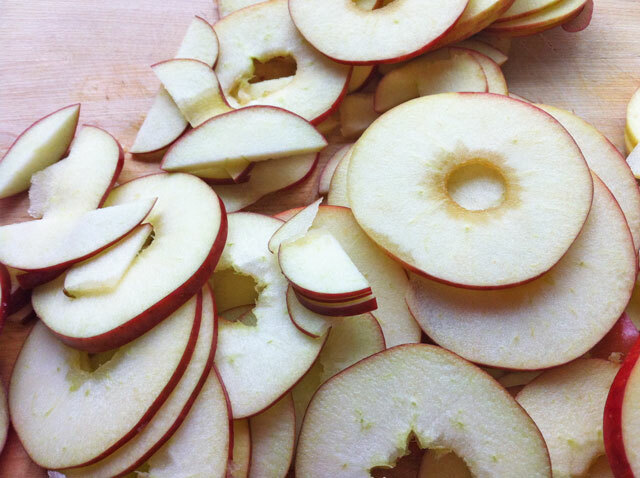 Wash apples, core apples, and either use a mandolin slicer at the 1/8 inch setting, or a chefs knife and slice the apples 1/8- 1/4 inch thick. 3. 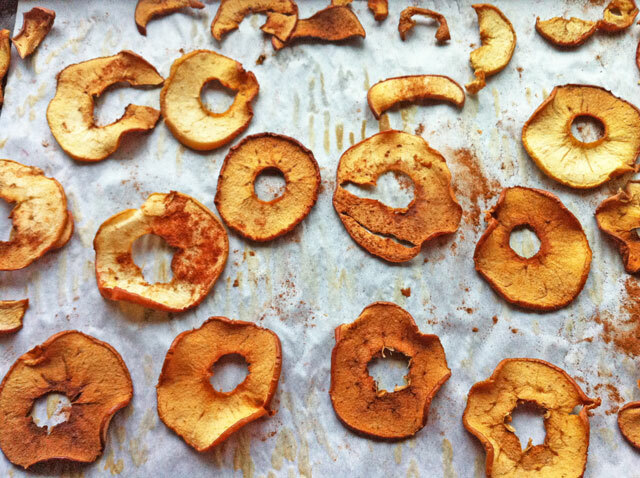 Sprinkle cinnamon on the sliced apples. Bake for 2-3 hours, turning once. Check them at 2 hours. Mine took 2 1/2 hours. 4. Remove from oven, cool, and eat. Store in an airtight container. Super delicious snack! Typically not a huge fan of apples, but these were superb! I will definitely be making these often.